Skipper Kyrshan Lyngshing gave Langsning the lead in the quarter hour mark but Andyz Mawthoh cancelled out the lead as he equalised 10 minutes before full time to salvage a point for Royal Wahingdoh FC..
Langsning came into the game looking for their third win in a row and started the match on the front foot. They had decent chances to get the lead early in the match but failed to find convert these chances. Wahingdoh too had a good chance to score in the 10th minute when skipper Bekay Bawar found Andyz Mawthoh in the Langsning box with his beautifully weighted pass; Andyz however could only balloon his shot over the crossbar. 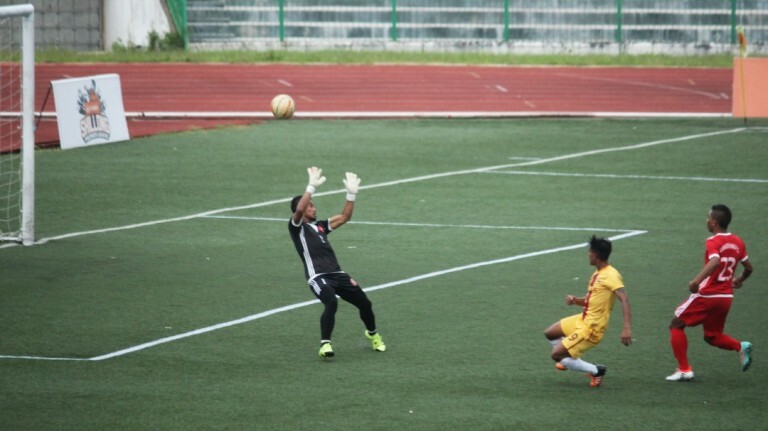 Wahingdoh’s goalkeeper did well to save a drilled shot from Wallam Nongkhlaw in the 14th minute but couldn’t come to the rescue for Wahingdoh again as Langsning got their lead through their skipper from the resulting corner. It was a simple header into an open net for Kyrshan who was all alone in the back post which was strange considering the delivery was from a corner. Minutes later the reverse skipper Bekay Bawar got the chance to equalise but his half volley was parried away by the goalkeeper. Langsning went into half time with a deserved lead for their dominating display in the first half. Andyz Mawthoh had a torrid first half and ballooned his shot over the crossbar in the 10th minute. Wahingdoh started the second half much better than they had in the first 45 minutes. Reisangpemmi Kasomwoshi, who had missed the early part of the season through injury, came in early in the second half and his introduction saw the Wahingdoh attack shift to a higher gear. 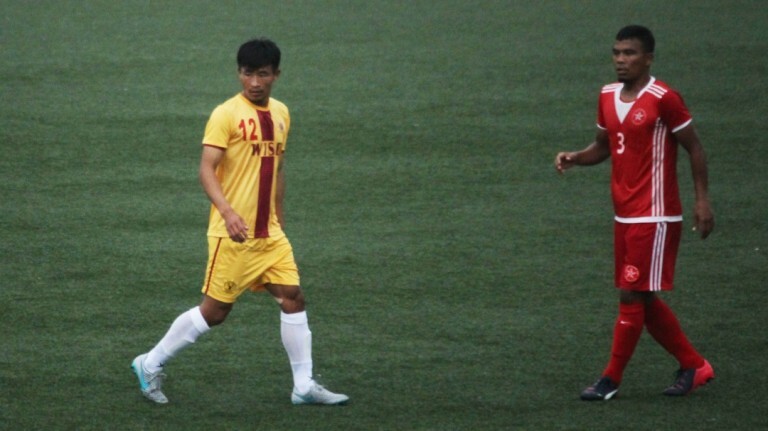 Though a seasoned midfielder, Reisangpemmi was deployed as the lone striker and he didn’t disappoint as his brilliant hold up of play gave the midfielders and the wingers loads of space to play the ball and to create chances. 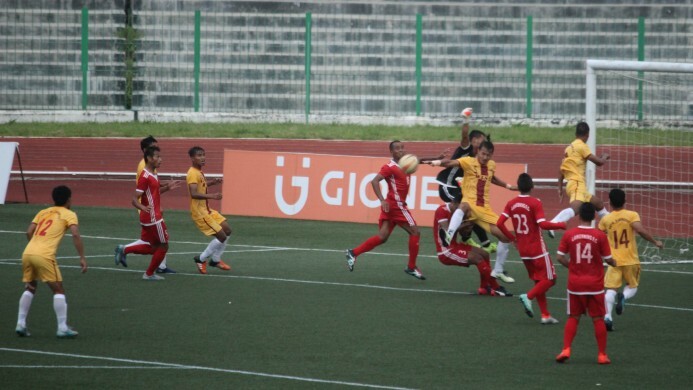 He was involved in almost all the action as Wahingdoh dominated the second half. 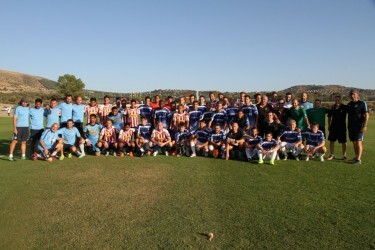 Wahingdoh continued to exert their dominance and skipper Bekay Bawar won a free kick just a few yards into the Langsning half ten minutes before the final whistle. The skipper himself took the free kick and he executed it brilliantly, sending a delicious chip over the Langsning wall into the path of the onrushing winger Andyz Mawthoh whose half volley from close range went in for a goal and gave Wahingdoh a deserved equaliser. Wahingdoh looked for the winning goal but had to be content with a point come the final whistle. Report by Khel Now Correspondent Worngachan Shatsang from Shillong . Shatsang loves to write and click pictures .